Deep in the northern Rocky Mountains, nestled along the banks of the Snake River between the Teton and Wind River mountain ranges, lies the small mountain community of Jackson, Wyoming. 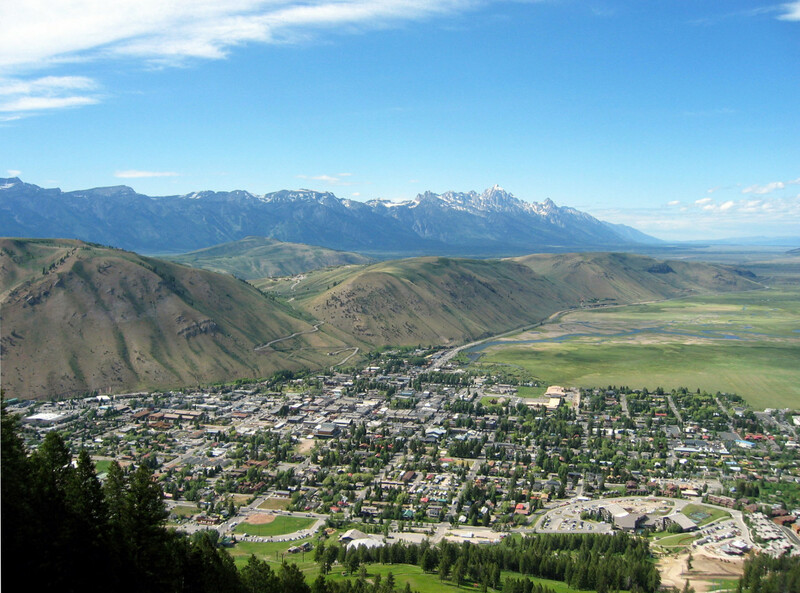 Lovingly known to locals as Jackson Hole, the town is home to just over 10,000 hardy people who are willing to endure the area’s rough terrain, volatile mountain climate and other challenges—all of which create problems for feeding its residents and tourists year-round. That’s where Jackson Hole Vertical Harvest comes in: it’s a small vertical farm that is the town’s only consistent source of food. The scenic mountains? They drive up land prices, limiting the area in the valley usable for building a home. This has become such a problem that the median price for a single-family home in the area has reached a staggering $2.65 million, as estimated in a 2017 report by the Casper Star Tribune. Its blankets of snow? They may be soft enough for a skier to fall in love with, but the unpredictable weather can make travel in and out of Jackson difficult — and sometimes impossible. Beyond this, temperate summers have been a major draw for tourists in the area, but this also means that the area’s growing season is a mere four months long. These factors make the feasibility of large, traditional farms in and around Jackson nearly impossible, making locally sourced, organic produce completely absent from residents’ kitchens. Without healthy, fresh produce, Jackson local Nona Yehia decided to make a change for her community by founding Jackson Hole Vertical Harvest in 2016. Using a vertical form of architecture, JH Vertical Harvest has transformed a tenth of an acre on the southern side of Jackson’s only parking garage into a 13,500 arable square foot garden. The farm operates using hydroponic agriculture: A form of agriculture that does not use soil, but instead stimulates plant growth via nutrients in a water solution, yielding roughly 100,000 pounds of food over the course of an entire year. The unique architecture paired with hydroponic agriculture makes fruits and vegetables readily available year-round, which are then distributed to local restaurants, markets, direct to consumers, and even the hospital in town. The University of Wyoming is currently testing the farm’s lighting and water efficiency to analyze its carbon footprint, with preliminary tests indicating significantly lower emissions than industrial farming. Beyond the farming techniques and environmental data, JH Vertical Harvest partnered with CULTIVATE, a nonprofit focused on job placement for people with different abilities, in order to serve the Jackson community in a different way: among its staff are more than 20 individuals with varying mental and physical abilities and 18 more people in training.